Drone photography and video for real estate is booming in popularity, with more and more real estate agents bringing in aerial specialists to create marketing material. But is it always a good idea to get the drone shot? Let's look at the good and the bad of using drone shots, and we'll start with the bad news. First of all, not every home needs a drone shot, and in some situations it's going to damage a marketing campaign. "I think in the future, listings not enhanced with drone technology will stand out negatively because everyone else will be doing it." "I probably wouldn't use it in a town center where it's on a 60-by-120 (foot) lot and surrounded by lots of neighbors' houses." 1. Drones can have a negative effect if there is damage or disarray to a property. 2. In the U.S. it is a bad idea to fly in restricted air space. 3. In relation to (2) it is a bad idea to do drone photography if you are not FAA Part 107 certified. It's important to note the significance of each of these points. If a property is poorly presented with a messy yard, or damage on the roof, then an aerial shot is not going to be helpful. Likewise, if the property is in a major city, or close to an airport, then drone flight may be limited, at least without first checking in with the relevant local authorities. Another situation in which drone photos may be a poor choice is when the home simply looks more attractive at ground level. In many situations a drone shot may be possible, but it may not be beneficial if it just shows the roof of the property, but not much more than that. The potential buyer is not purchasing a roof, but rather they are buying a lifestyle. They are buying a place for their family to live and grow and celebrate and relax. 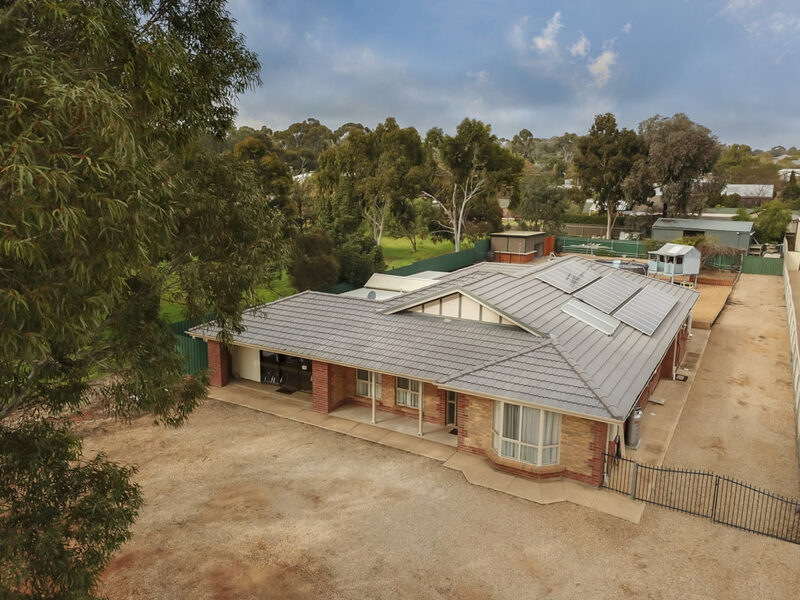 If the aerial shot enhances that and shows the buyer the lifestyle that is possible at that property then including an aerial shot is a great option, but in a lot of situations the aerial shot will not do that, and may even push buyers away. 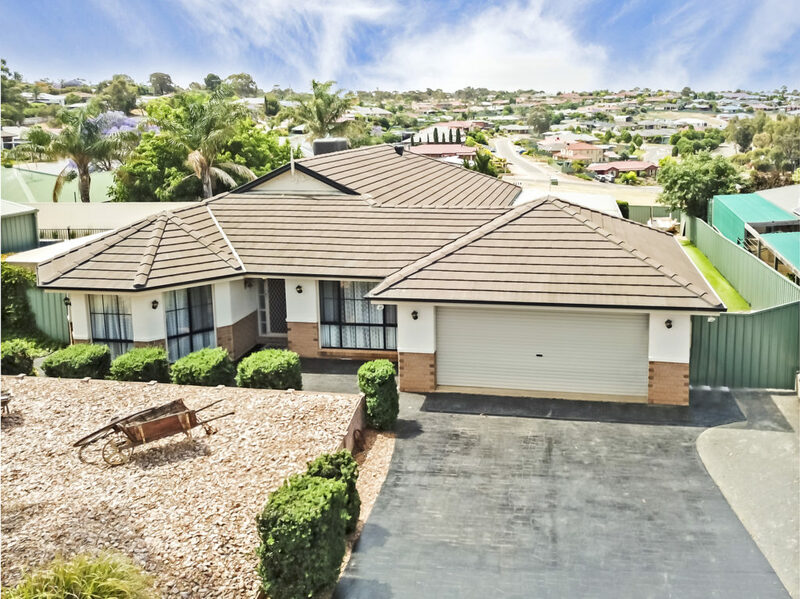 Drone photography and video can add an enormous amount of information to a real estate marketing campaign, and so where it really shines is in the promotion of a home where a ground level shot is simply not enough. "It's useful also if the property is hidden or elevated. This gives the vendor [or homeowner] and selling agent a different perspective, an angle that other agents might not think of or use." "1. When property lot is big and an aerial will showcase the size and different areas all in one shot. 2. The property is a high-end property that the agents wants to showcase on FB and other social media. 3. There are amenities that have angles that are not accessible by foot. i.e. a floating dock on a lake." Based on those three criteria, there are a lot of homes that would therefore not be suitable for drone photography, and I think that's something that some real estate agents don't yet understand. There are some agents who feel that the uniqueness of drone photography makes it beneficial. 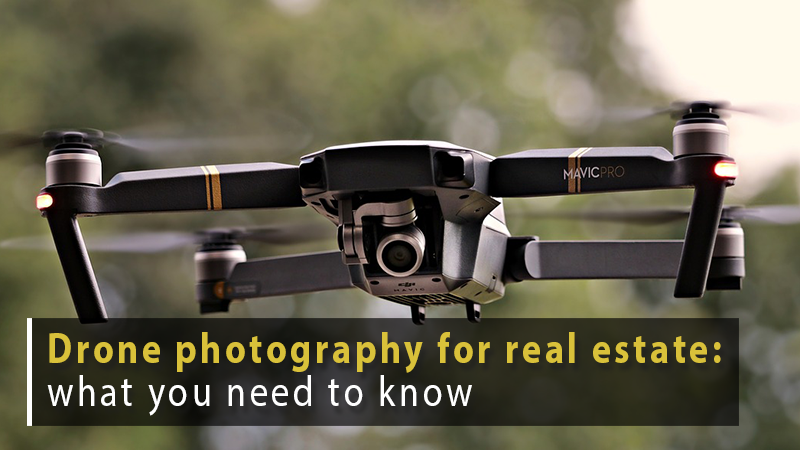 However, that's not necessarily true, and agents would do well to follow the three guidelines outlined above when it comes to the use or non-use of drone photos and video in their real estate marketing campaigns. "Capturing a short video is an excellent way to showcase the property from height, giving different angles and presenting the property in a lifestyle feel." So where these videos work well is in showing the location of a property for sale relative to key landmarks, they show the size of the land, and they provide a different view of the immediate area around the property. The first thing to think about here is to make sure you hire a business, and not just an individual. Sure, your 16 year old nephew might have a drone, but he's not the one you want to have doing your shots, and that's because the drone pilot needs to meet certain criteria. 3) the contract indemnifies you for any claims related to the sUAS operation, including privacy, personal injury, and property damage claims." 1. The person flying the drone needs to be authorized. We now face very strict regulations around the use of drones for commercial use, and as such it's critical that the person you hire is authorized to fly that drone in that particular space. "Drones need to be in compliance with CASA [The Civil Aviation Safety Authority in Australia]. There are rules to follow, so if you do not have approval from CASA to fly, don't fly." "Don't fly in No Fly Zones, also within 30 m of people, sporting events and schools. If the weather is too bad, and there is high wind velocity, don't fly." So what are the rules around flying a drone? Here's a brief outline of the commercial use of drones, and it can be helpful to be aware of these rules so that when you hire a drone pilot you have some idea of what they should know. And if you observe the drone company or individual you hire not following these rules to the letter then you'll know that it's time for you to move to someone that does. "Canada is about to change its drone regulations. The new regulations look more sensible and look like less of a barrier for real estate photography." So that's good news for agents in Canada, but one thing you'll find in most places is that the use of a drone for commercial purposes is more tightly regulated than recreational use. "But is it still a commercial shoot if I'm not paying Billy the 16 year old anything?" That seems like it could be a good option - get the shoot done for free, and don't worry about the rules for commercial use. However, the authorities have already dealt with that one. Even if money does not change hands if the images are used in a commercial way, such as in the marketing of a home, then they are classed as commercial use. And if it's commercial use, then it needs to comply with commercial rules. In fact, in the US if a real estate agent "knowingly and willfully" hires a drone pilot who does not have approval under Part 107, then the real estate agent could be fined and lose their real estate license. Take a look at 49 U.S. Code § 46306 if you want to see it in writing, but it's enough to simply be aware that that they do take this very, very seriously. And even if it was classed as recreational use of the drone they you still need to follow certain rules when flying, especially in populated areas and parks. 2. The person flying the drone needs to be insured. When a drone is flying around with sharp blades, in what can sometimes be risky conditions, things can go wrong. Really, really wrong. In the USA and Australia the regulators don't require drone operators to have insurance, however, it is a good idea for real estate agents to only hire drone operators that are adequately insured because things can go very, very wrong when flying a drone near people or buildings. 3. Be aware of who is legally responsible for any damages or fines. If things do wrong with a drone shoot, is the real estate agent liable for damages? "Operating most UASs [Unmanned aerial systems] without a proper and current FAA issued rating is illegal and subjects both the UAS pilotandthe person who hires the UAS pilot to civil penalties, fines, and other possible liabilities. ... Failure to follow the rules may result in injury to persons on the ground, danger to manned aircraft, damage to property, or rule violations that are penalized by fines. Any of these could result in liability to not only the UAS pilot, but also the person who contracted for those services." In other words, the real estate agent hiring the drone pilot, if they operate in an unsafe or illegal manner, may be held liable for fees or damages unless an agreement was made between the agent and the drone operator that says otherwise. According to a message from the FAA in the US, "the fine for the real estate agent who hires an unlicensed pilot is $11,000." Drone photography and video can be an excellent real estate marketing tool, however it is not appropriate in every situation. The land around the building is very small, and there isn't anything significant to show. The property is in an area where drone flight is restricted. The drone pilot is not authorized to fly and not insured. 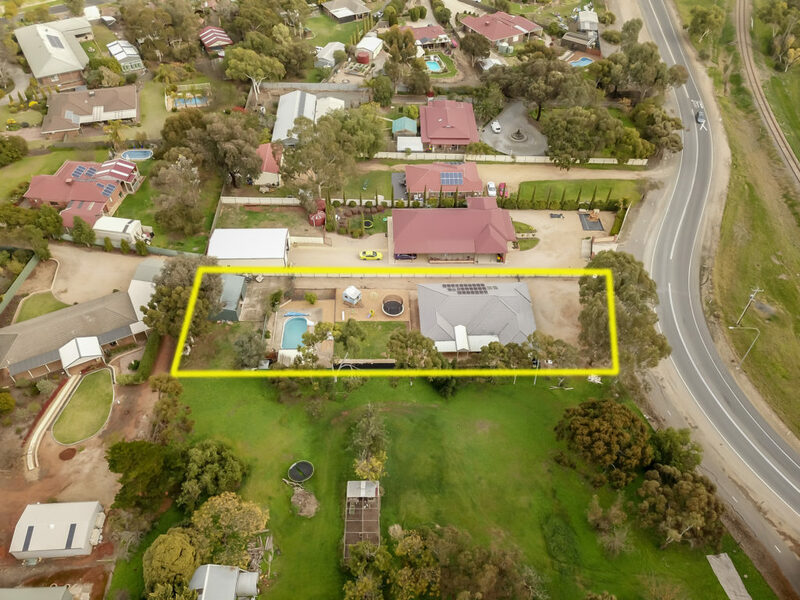 The aerial shots will provide the viewer with information about the property, such as the size or location, that is not otherwise available from ground level. The shots will show the potential lifestyle benefits that are available. What questions should a real estate agent or homeowner ask a real estate drone photography company? "Are you in full compliance with local regulations to fly in this particular location?" "Are you fully insured for damage that the drone could cause to other persons and property?" Find a company that can confidently answer 'yes' to both of those questions, and you've got a business that is potentially ideal to work with. their availability - can they fit the shoot in and deliver the images to you on time? ... but making sure they are compliant and insured is a good place to start.